DUBAI, United Arab Emirates (AP) — Actor Harrison Ford offered an emphatic plea on Tuesday for protecting the world's oceans, calling out President Donald Trump and others who "deny or denigrate science." 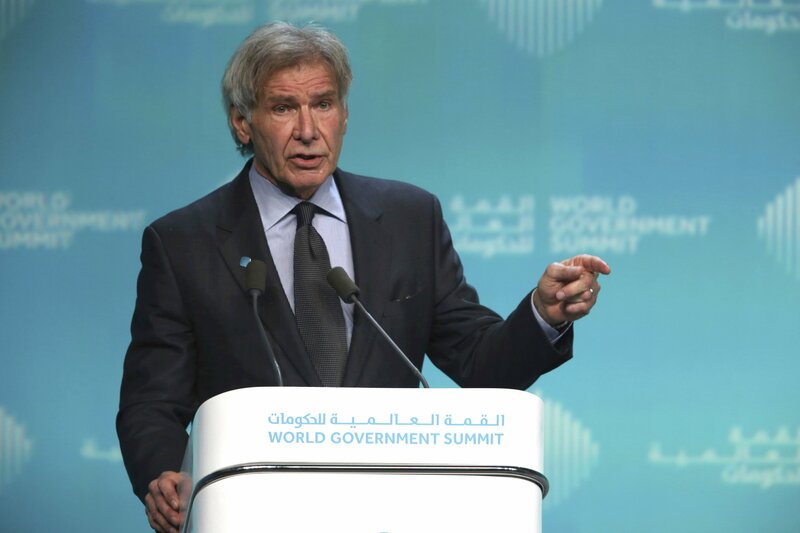 The 76-year-old actor, best known for his roles in "Star Wars" and "Indiana Jones," stressed the importance of acknowledging the effects of climate change on the world in a speech on the closing day of the World Government Summit in Dubai. Though never saying Trump's name, he clearly targeted the American president within the opening moments of his remarks.